The OAS has shifted gear under the energetic leadership of our new president, Bill Rathmell, who has revitalised the main OAS committee and various sub-committees working on the website, the forthcoming Tribal Art Fair Sydney and the next OAS forums. The principal aim is to increase the appeal and relevance of the OAS, to build its membership and to fulfil the Society’s goal of ‘furthering the appreciation and understanding of Oceanic art’. inv. No. I.3586 a-s. Photo courtesy of the Nationalmuseet. 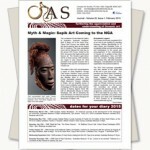 While retaining a strong and deep admiration for the beauty and mystery of old and early traditional artefacts, the OAS is reaching out to contemporary Pacific Islander artists and their communities seeking to engage with them and bridge the gulf that sometimes seems to exist between these two Oceanic art genres. Ancient art works dating back to pre-European contact times have the capacity to captivate the imagination and attention of collectors worldwide, yet they are also of vital interest to today’s Pacific Islanders, both those residing in their home countries and those that are part of the diaspora living in Australia, New Zealand and elsewhere. By engaging with contemporary Pacific Islander artists and artworks in whatever form they take, be that sculptural, two dimensional or performance based, the OAS will be reinvigorated with a new influx of energy and actors keen to use the OAS as a platform for the expression of their artistic endeavour. I also believe that our appreciation of traditional art works will be enhanced through gaining knowledge of contemporary manifestations of cultural practices and ritual beliefs. 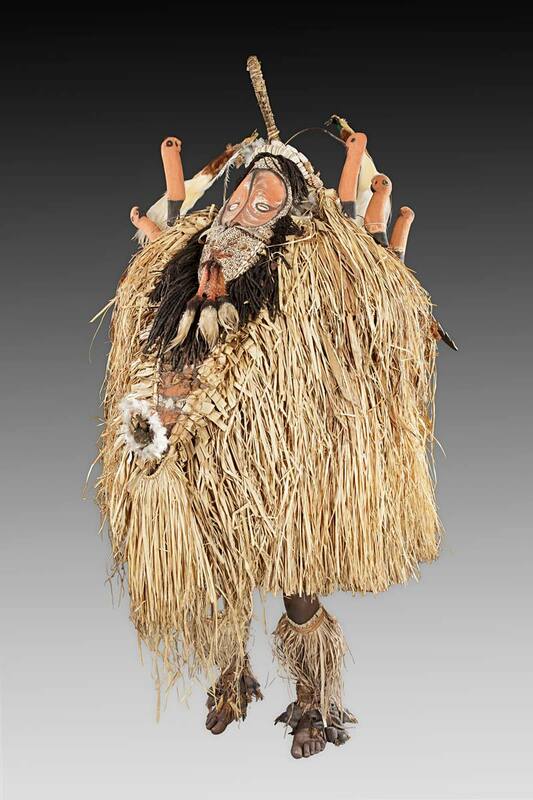 Artefacts have been called ‘disembodied spirits’ but the direct descendants of the creators of these spirits are still in our midst and it is a fallacy to think we have nothing left to learn from the current generation of these ancient cultures. In fact by embracing the various strands of Oceanic art, old and new, great opportunities for collaboration and learning open up, which we hope will be an edifying and deeply satisfying process. More on this in future editions of the OAS Journal. In this edition of the OAS Journal we are delighted to journey back to 1934 with Leif Holmstedt as he tells the story of Danish adventurer, Axel Bojsen-Møller, and his artefact collecting expedition to New Guinea and to see some of the fruits of his work. We also report on Crispin Howarth’s excellent presentation on the NGA’s Reverend Fellow’s collection, which he presented to the OAS in November last year. 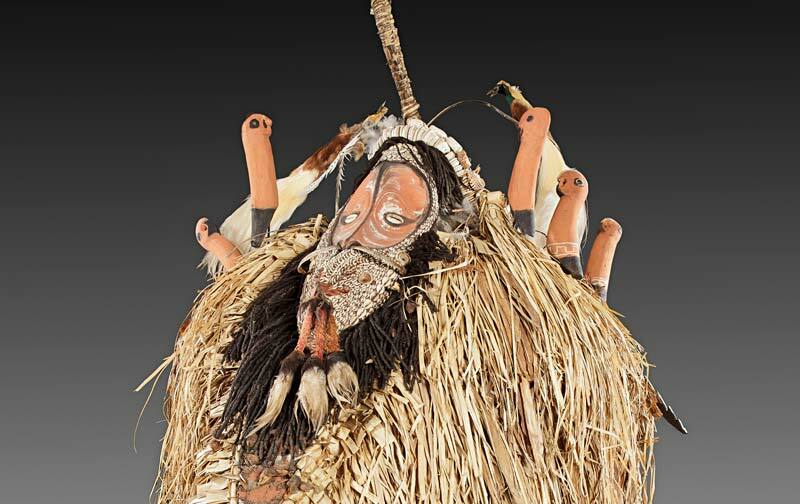 Marina Garlick describes the meticulous Maori portraits of Gottfried Lindauer, focus of the recent exhibition in Auckland, and we are treated to a taste of his work. Finally, with Crispin’s review of R. D. Webster’s, Illustrated Catalogue of Ethnographical Specimens Photographic Reference, we get a feel of how demand for Oceanic art works has evolved over the years. The OAS is pleased to introduce Anneke Jaspers, Curator of Contemporary Art at the Art Gallery of New South Wales, who will be delivering her presentation on ‘Indigenous Perspectives in The National 2017: New Australian Art at the AGNSW on May 17. This talk will discuss the current exhibition through the work of three First Nations’ artists and legacy of colonialism and its consequences.